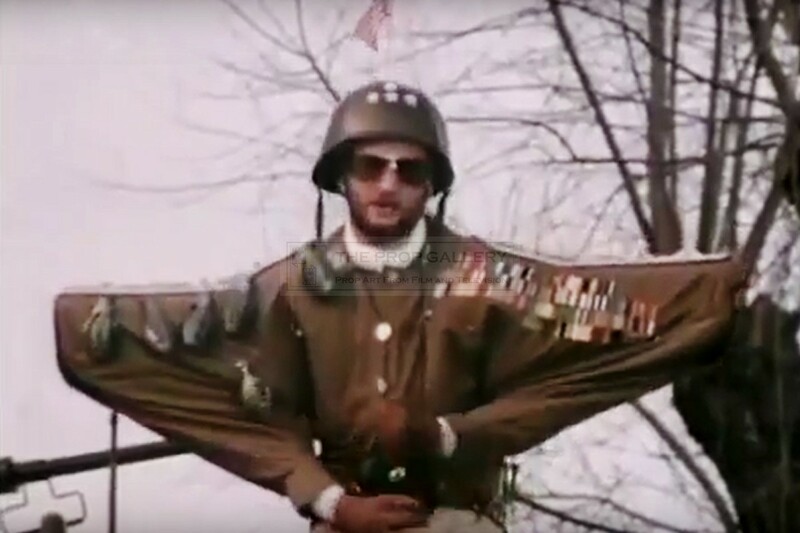 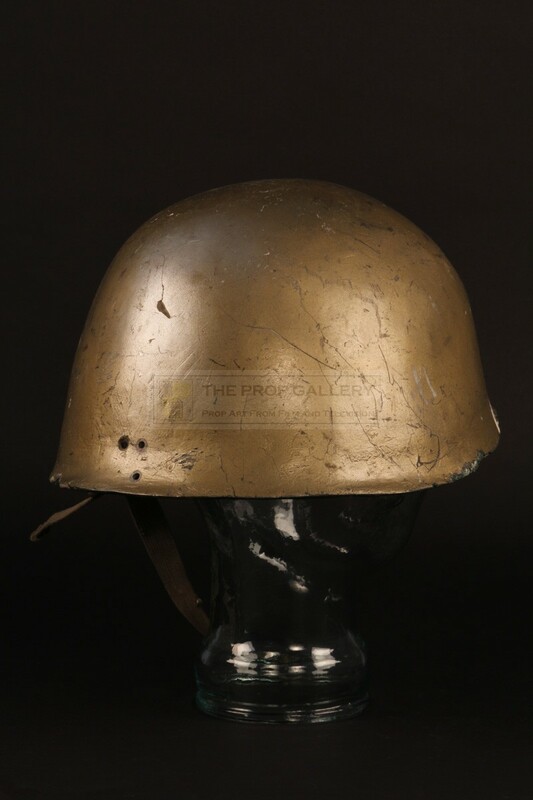 This is one of a number of helmets worn by Kenny Everett in his portrayal of General Cheeseburger, the memorable parody of an American general featuring large shoulders and ridiculous policies. 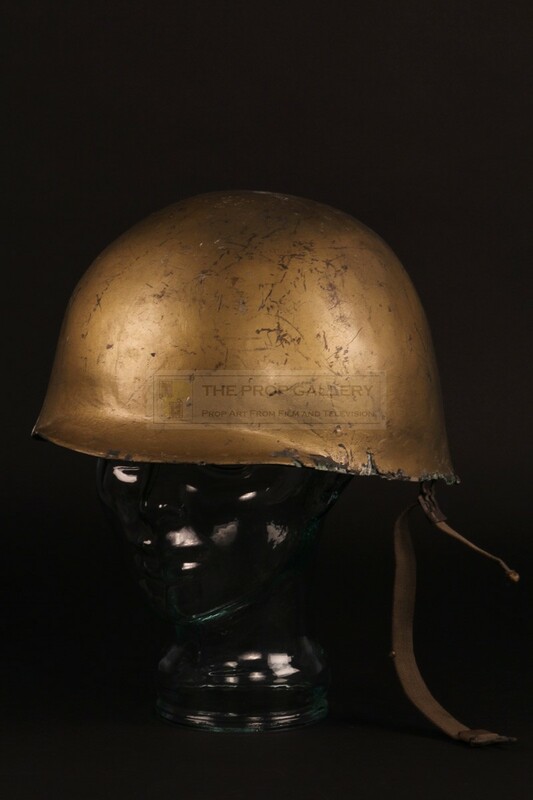 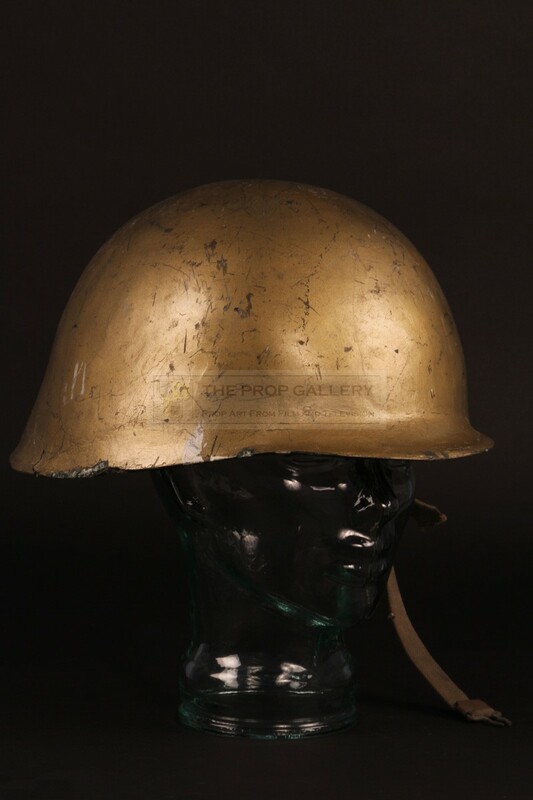 The custom made helmet is constructed from fibreglass and features a smaller helmet of plastic bonded to the interior to act as a liner with a strap to one side and finished in gold paint. 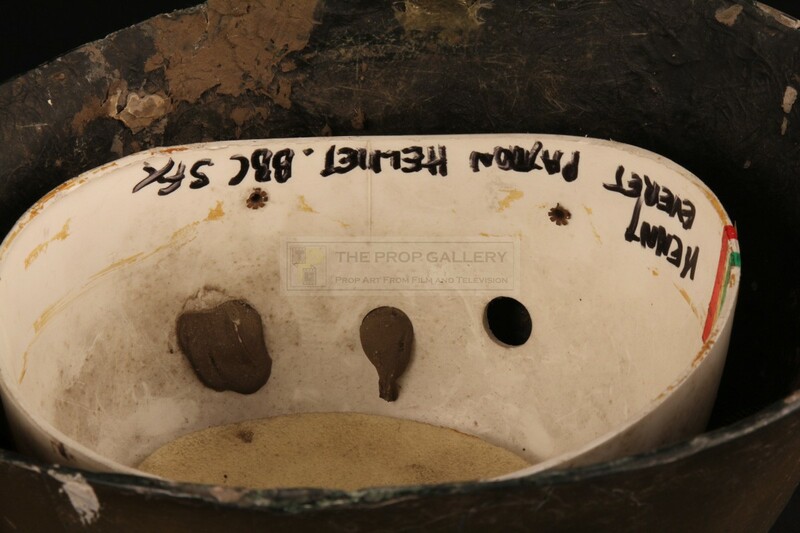 The interior liner is hand inscribed 'KENNY EVERET (sic) PATTON HELMET BBC SFX'. 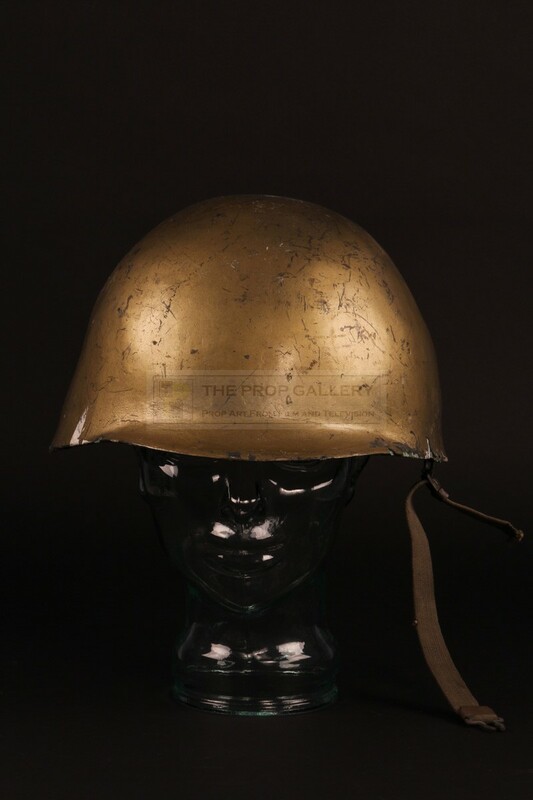 The helmet measures approximately 13" x 10" x 7" and remains in good vintage and used condition with numerous chips to the fibreglass edges and paint wear, lacking the strap to one side and any star decorations which once adorned it. A displayable and memorable artefact relating to this noted British comedian.